TeXtreme® Spread Tow carbon fiber reinforcements is the ultimate choice for making ultra light composites design. 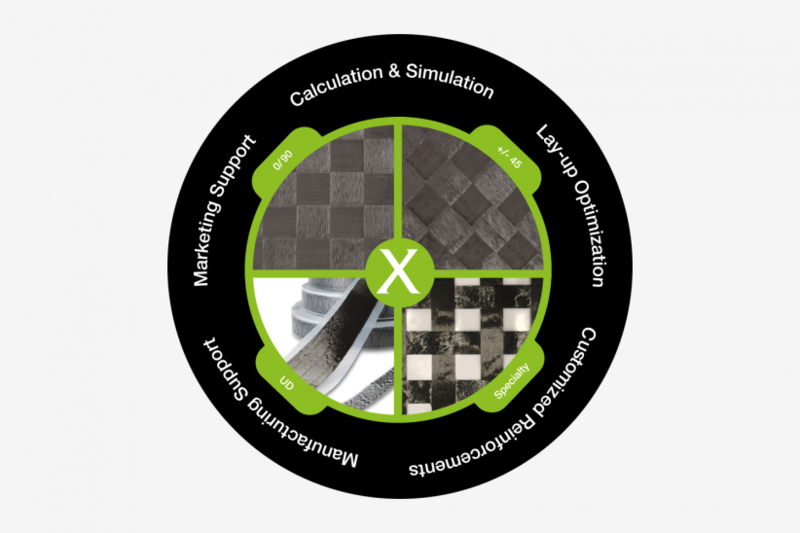 With TeXtreme® carbon fiber composites optimization you achieve lesser weight, maintained or better rigidness, increased strength, improved impact tolerance and super surface smoothness. We sell optimized spread tow reinforcement solutions to customers with a need for ultra lightweight and lasting high performance. We can optimize your advanced composites to unprecedented levels, using our flexible and adaptable technology. We’ll assist in the whole process, from design calculations, simulation and optimization to production and marketing.